While perhaps most famous for its now demoted status as a planet, Pluto is perhaps most interesting because of its system of moons. Together with its largest moon Charon, it is sometimes referred to as a double planet. Charon is by far Pluto’s largest moon, with a mass that is nearly 12% that of Pluto itself. The other four moons (Styx, Nix, Kerberos and Hydra) are tiny by comparison, totalling a fraction of a fraction of Charon’s mass. The leading theory as to the origin of the Pluto system is the collision model. According to this model, a Kuiper belt object collided with Pluto, fracturing the planet. 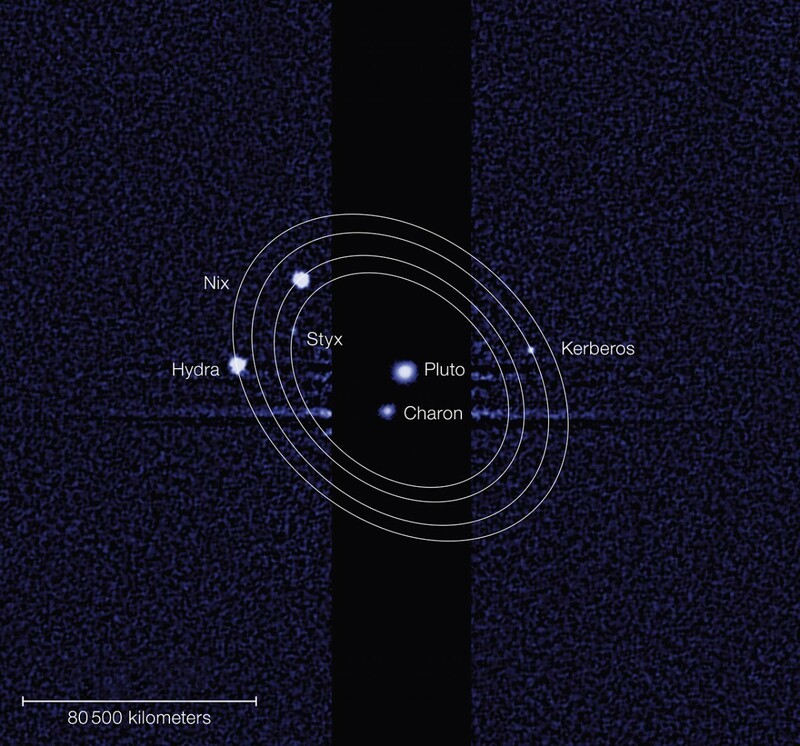 From the collisional debris formed the Pluto-Charon pair along with the other small moons. This is similar to the collisional model for the formation of the Earth-Moon system. When the New Horizons probe reaches Pluto in 2015, we’ll have a much better view of its moon system. Until then we have to rely on the limited images from Hubble. But this also provides an opportunity to test computational models of the system. 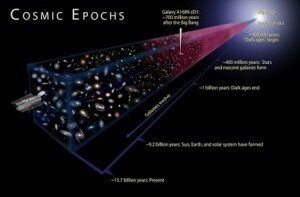 Often computational models are used to simulate general phenomena, or to try to simulate a specific event. In the case of Pluto’s moons, we have a chance to simulate the planetary system with the information we have knowing we’ll have better data in a couple years. This is the focus of a recent paper in the Astrophysical Journal, where the authors simulated the Pluto system. The computer simulations showed that the mass of the smaller moons depends upon the mass of the early post-collision debris rings, and the larger rings would tend to produce fewer but larger moons. But the model also made a prediction, specifically that beyond the orbit of Hydra there should be several other moons about 1 – 3 kilometers in size as well as a dust region. If these additional moons are there, they will be seen by the New Horizons probe. So we’ll soon have a chance to compare the computational model with reality.